J G Lang & Son is a family run arable and seasonal fruit farm situated on the west side of Cupar in Fife, Scotland, approximately 18km west of St Andrews and 65km north of Edinburgh. 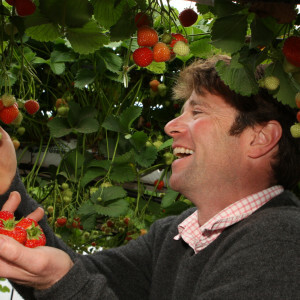 We grow mainly table-top strawberries for easy picking under cover plus a variety of vegetables and cereals. Fruit picking takes place from the beginning of May to mid-October when we offer a variety of job opportunities.